INDIANAPOLIS, IN—In a stern indictment of the cash-grabbing scandal that the student athletics organization was somehow kept completely in the dark about, the NCAA announced Monday the launch of an investigation into why it wasn’t making millions off of the recent college admissions controversy. 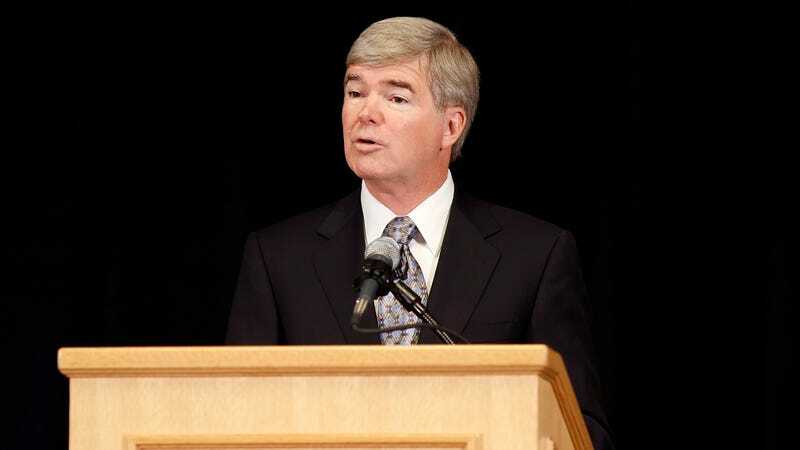 “After the disturbing revelations that massive bribes were being paid out to people other than us, we’re launching an immediate inquiry into how we possibly missed out on this,” said NCAA president Mark Emmert, who claimed it was a “total failure of the system” that they were not raking in cash from wealthy celebrities when universities like Stanford, Yale, and USC were. “As an organization that always strives to squeeze money out of college athletics, I’m disgusted that this all went on right under our noses without us getting so much as a taste. There’s no way there isn’t some desperate millionaire out there willing to pay for his son to be a benchwarmer on a D1 team. To miss out on such a lucrative pay-to-play scheme goes against everything the NCAA stands for.” At press time, the NCAA had fined and suspended dozens of college coaches for not letting them in on the action.